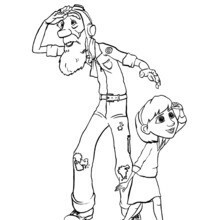 Color this picture of The Little Girl and Her Grandfather coloring page with the colors of your choice. 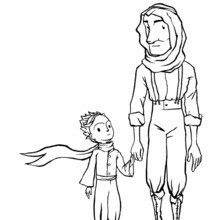 The little girl's grandfather is the Aviator in the animated movie The Little Prince. 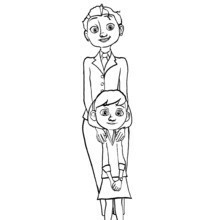 Color your picture online with the interactive coloring machine or print to color at home. 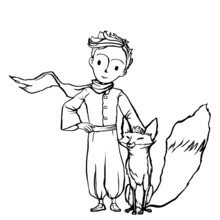 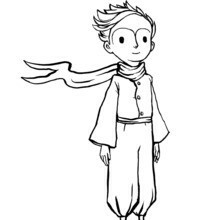 You will find other fun pictures from the movie to color in The Little Prince section. 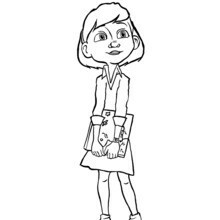 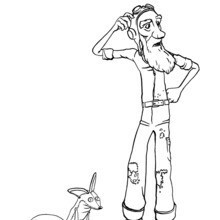 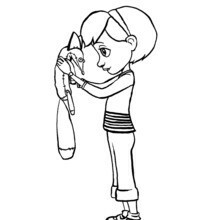 Enjoy all the FREE coloring pages from Hellokids!